This month, Choosito and Dr. Eleni Miltsakaki are excited to kick off a year-long efficacy study with Rocky Hill School in East Greenwich, Rhode Island. The study is supported by the National Science Foundation (NSF) to evaluate how Choosito develops research and information literacy skills. Ultimately, the study aims to improve how students find quality resources that enhance their learning. The highly respected Rocky Hill Librarian, Darsheil Silva and her students will be engaged in the process. 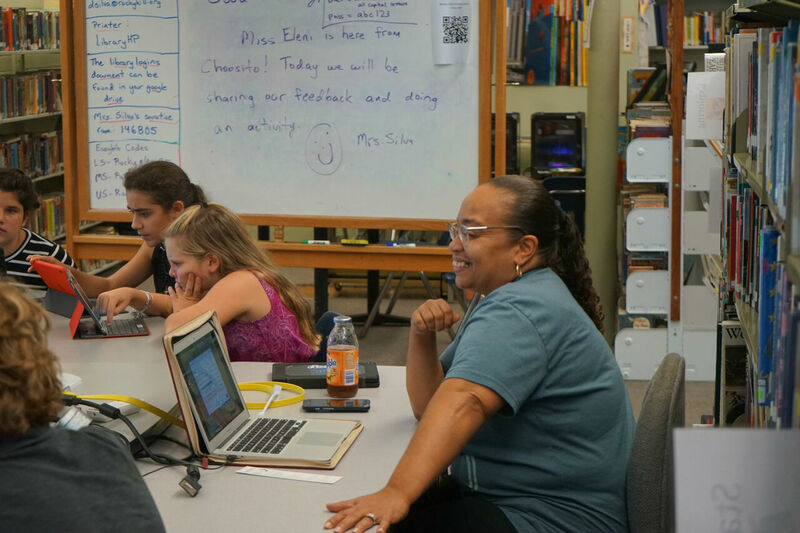 Silva is regularly featured as a stand out educator who seeks to bring innovative tools and teaching techniques into the classroom. She is an EdTech Hero who helps other teachers, administrators, and district leaders develop technology integration plans and become technology coaches. Choosito is thrilled to partner with her and will continue to share its findings as the study progresses. Next Post Choosito wins the highly competitive IBM Watson AI XPRIZE Runner-Up Milestone Award. Efficacy studies are so important, and it’s great that NSF is supporting the work. If you ever want to chat about doing a study together, keep us in mind. Thank you for the note, Robin. We will!